New, friendly, clean, very good breakfast, parking, pools, extra big rooms. La comodidad de la habitación ...Pileta climatizada..el parque..
Un hermoso lugar, con muy buen desayuno y espectacular el lugar de relax y la pileta. Amplia habitación, muy cómoda. Muy buenas las medialunas...las instalaciones muy comodas. Nos pareció todo excelente! !, el personal nos re ayudo con algunos datos!, la pileta es increíble, y el hotel es super cómodo y limpio! sin dudas volveríamos a ir! El desayuno también muy bueno y completo! 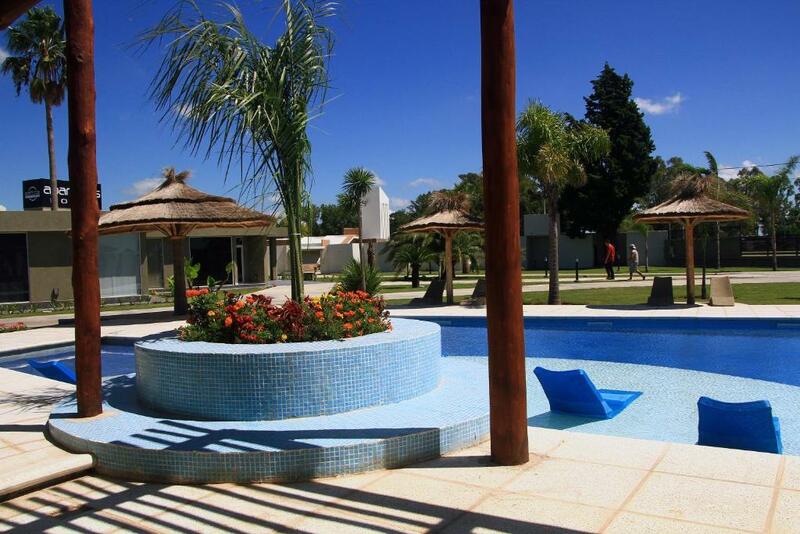 Lock in a great price for Apart Tres Hotel – rated 8 by recent guests! Apart Tres Hotel This rating is a reflection of how the property compares to the industry standard when it comes to price, facilities and services available. It's based on a self-evaluation by the property. Use this rating to help choose your stay! 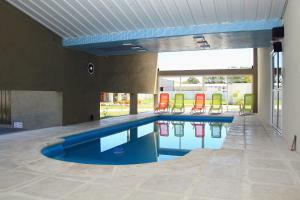 Apart Tres Hotel offers modern and comfortable self-catering accommodations in Rio Tercero. 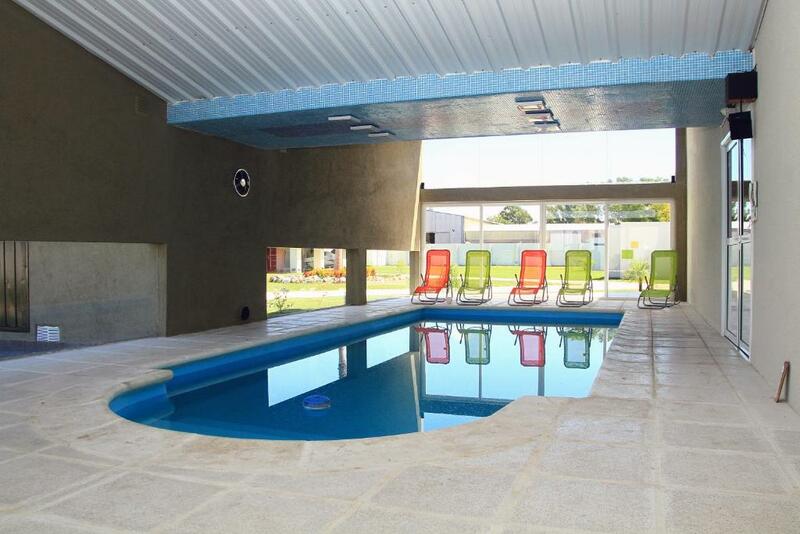 The property features an indoor and an outdoor pool, an ample garden and fitness facilities. A daily breakfast is served and free WiFi access is available. Each luminous apartment at Apart Tres Hotel features air conditioning, a patio and a mini-bar. A fully-equipped kitchen and a complete bathroom with a shower are included. They are fitted with a safety deposit box and a flat-screen satellite-cable TV. The on site spa ad wellness center offers guest the chance to unwind and enjoy a sauna and massage treatments. 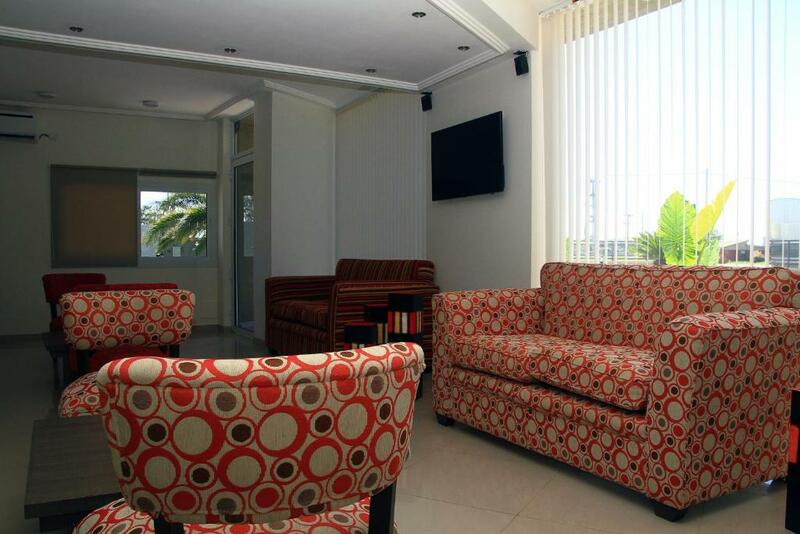 Meeting facilities, a bar and a shared lounge are also available. 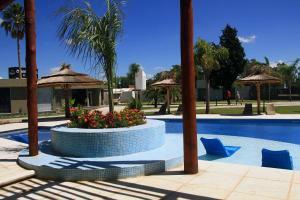 The property offers free parking and tourist information. 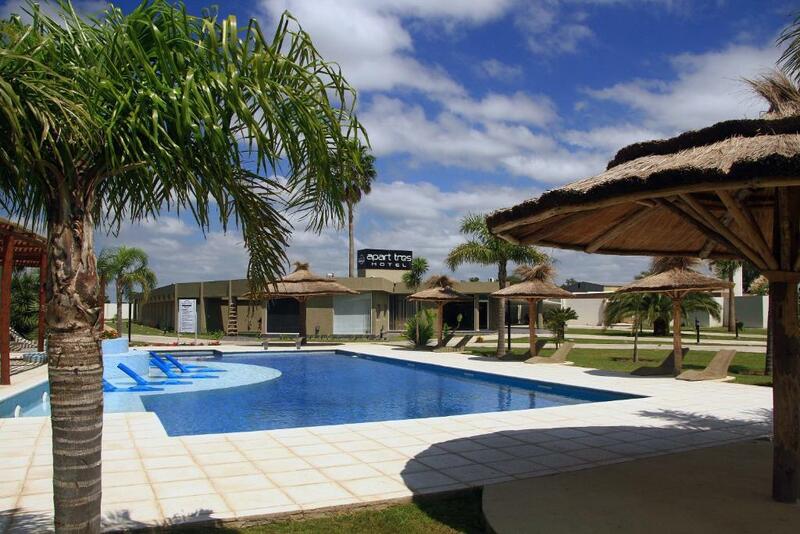 Apart Tres Hotel is 1 mi from Rio Tercero River and 3.9 mi from Rio Tercero Municipal Balneario. 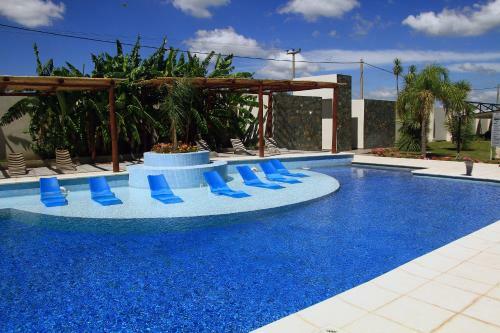 This property also has one of the top-rated locations in Río Tercero! Guests are happier about it compared to other properties in the area. This property is also rated for the best value in Río Tercero! Guests are getting more for their money when compared to other properties in this city. 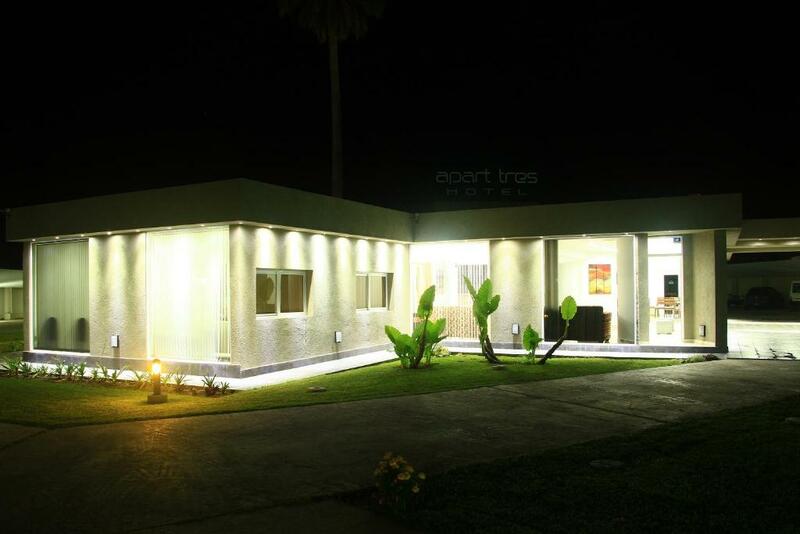 When would you like to stay at Apart Tres Hotel? 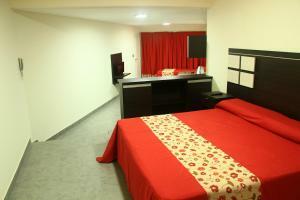 This quadruple room features a patio, air conditioning and a fully-equipped kitchen. It is fitted with a safety deposit box, a mini-bar and a flat-screen satellite-cable TV. Bathroom facilities include a shower. 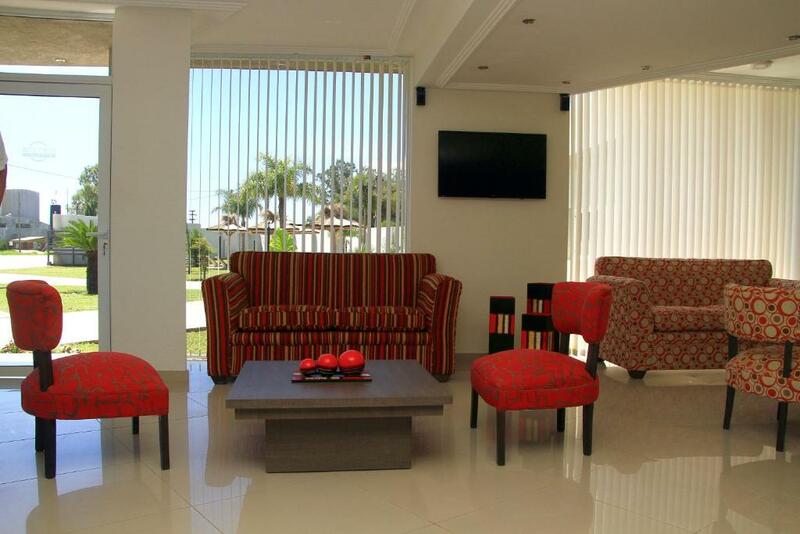 This triple room features a patio, air conditioning and a fully-equipped kitchen. It is fitted with a sofa, a safety deposit box, a mini-bar and a flat-screen satellite-cable TV. Bathroom facilities include a shower. This room features a patio, air conditioning and a fully-equipped kitchen. It is fitted with a sofa, a safety deposit box, a mini-bar and a flat-screen satellite-cable TV. Bathroom facilities include a shower. House Rules Apart Tres Hotel takes special requests – add in the next step! Apart Tres Hotel accepts these cards and reserves the right to temporarily hold an amount prior to arrival. The shower didn't have curtains, so the bathroom was always wet. The room was too warm, like 100 degrees, the AC was very noisy and smells bad. Also, they charged me 21% VAT, when booking reservation said it was excluded.